Vaping, for those not in the know, is the new alternative to tobacco smoking that is taking the world by storm. It uses a vaporized water and chemical solution to deliver flavor and enjoyment to users, without the severe health risks of tobacco use. Vaping devices tend towards the techie, with variable heating abilities and cutting-edge design aesthetics. As such, many apps and devices have been developed to help with the pastime. Below, we list several apps that make vaping easy and fun to do. 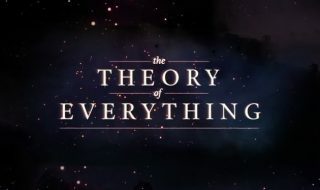 The vaping habit does require some math, especially when moving from disposable e-cigarette devices to higher-end rigs. To make your own coils and e-liquid mixes, you’ll need to perform a set of calculations to make sure that you get the electrical settings and chemical setups correct. 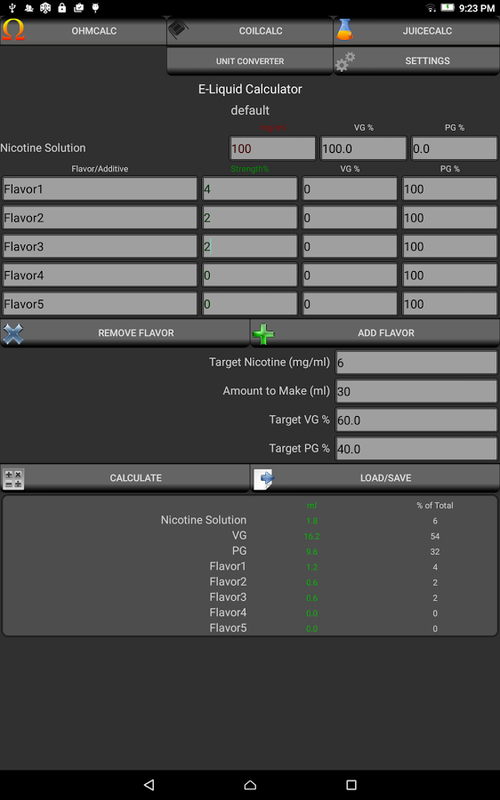 Vaporcalc is a dedicated calculation program, allowing you to quickly figure out how to set your coils and mixtures accurately for optimal safety and vaping enjoyment. Apps can make everyday tasks fun and interesting by introducing elements of gameplay. Vape, a free Android app, allows the user to track the money they spend on vaping supplies, as well as set up e-liquid mixtures by calculating the content percentages. More interestingly, the application also uses an “achievement” system to track important progress on the road to becoming tobacco free, adding that crucial game reward system that can help people to find their focus. Many people begin vaping as a way to move away from smoking or otherwise using tobacco products. 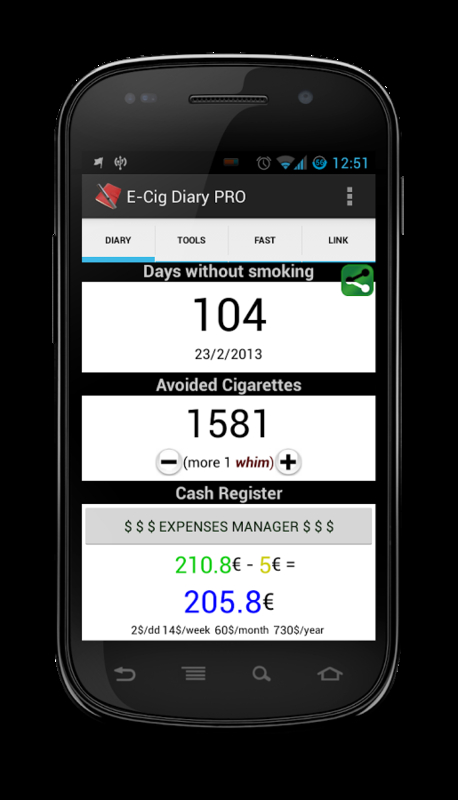 The E Cig Diary, available on Android devices, lets users track their use of vaping products alongside projections of what the cost would be in tobacco products, both in terms of money and health problems. The comparison makes the benefits of vaping crystal clear, helping to encourage the ex-tobacco user to stay the course. 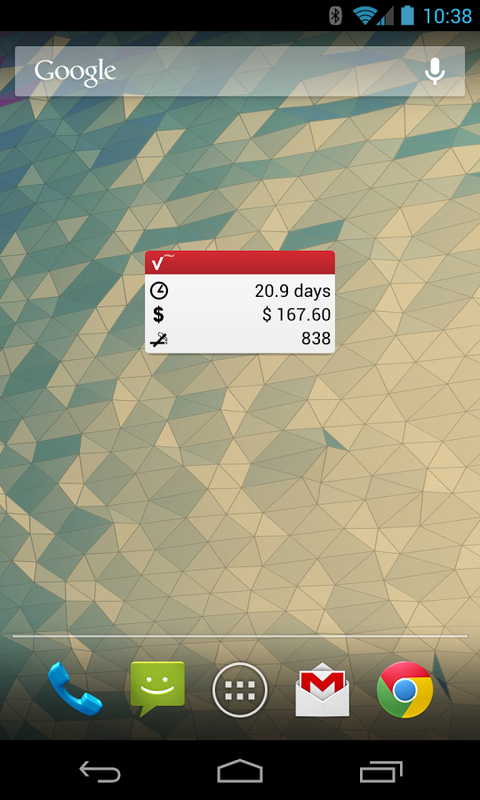 The app is available in a bare-bones free version and a paid version. 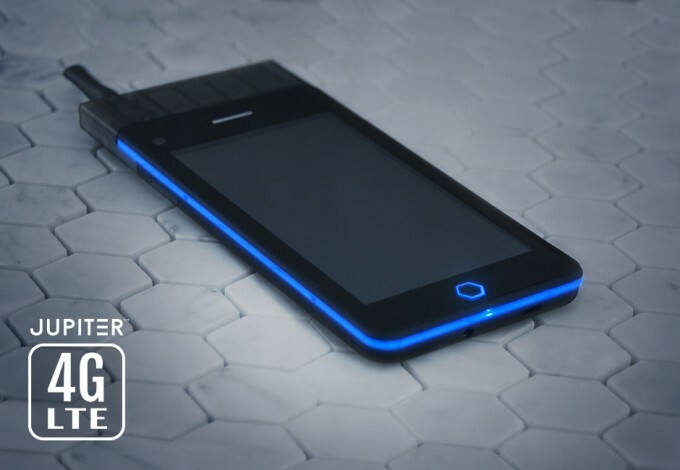 The Vaporcade Jupiter isn’t so much an app as it is an entire vaping solution, a smartphone with a vaping rig attachment integrated into the design. 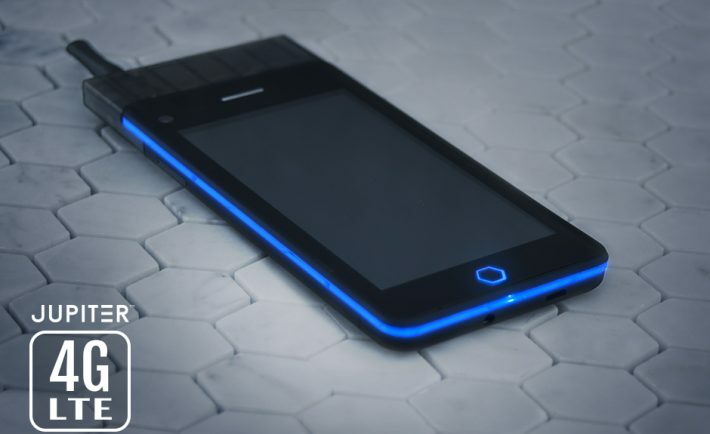 This smokable phone cuts down on clutter by putting two useful devices in one pocket. Also, the Vaporcade Jupiter, as an Android phone, has access to the wide variety of vaping-related Android apps Android apps already on the market for consumer use. It not only centralizes your communications and vaping needs, but also run your habit management software right from your own singular device. Vaping is most certainly a 21st century alternative to tobacco smoking. 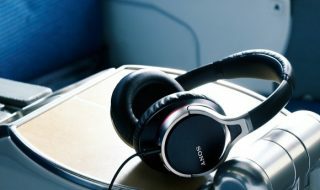 It’s healthier and more cost-effective as well as technologically advanced. As a modern pastime, vaping benefits from “smart” era technologies. New apps and accessories for our phones will almost certainly continue to advance the ways that we vape, helping us to find the techniques and products that work best to satisfy that urge. So get with the times and put your smartphones and vapor rigs together, and enjoy the efficiency and ease.